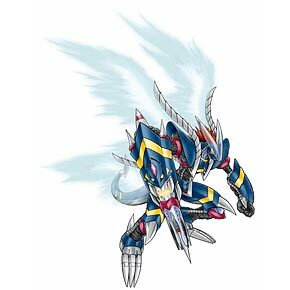 Attacks: Dark Roar, Gigastic Lance English. Dark. Dra is short for dragon. Loader Leomon + Win Ratio 60%! Master Tyrannomon + Win Ratio 40%! The ultimate weapon of the mechanized D-Brigade! His evolution requirements cannot be ignored. If there are three cards on the Point Gauge and zero in the Net Ocean and Dark Area is clear, you may return Darkdramon to the Net Ocean.